Happy Fridays my beautiful friends!! I'm so excited to see you today! I have been so busy running children around and enjoying all the wonderful summer activities with them, but at the same time, I'm worn out and just need a breather. 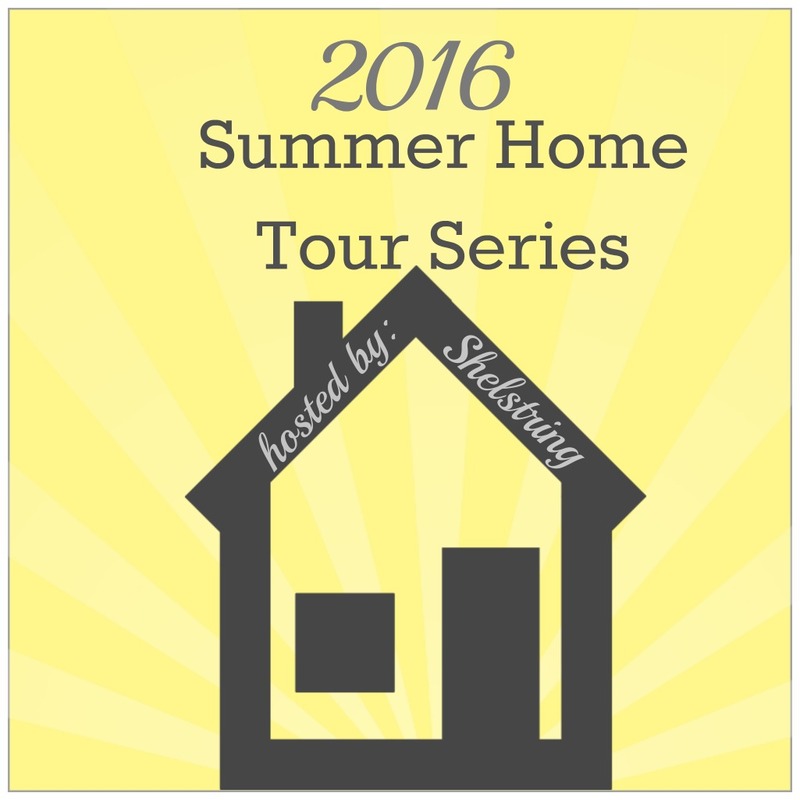 What better way to take one than to share another amazing summer home tour?! I'm super excited to introduce you to Emily today! 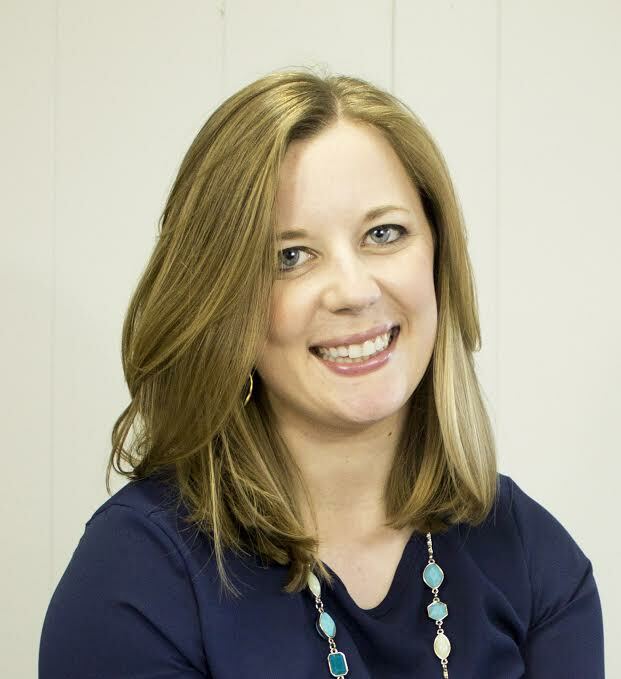 Emily blogs over at The Small Stuff Counts where she is now sharing some valuable information about time management, budgeting, and organization...tips that we all need to make our homes more functional and peaceful. So when you finish this beautiful tour, click on over to her blog and soak in all the lovely information find fun projects to do in the process! So....let's get started, shall we?! fuel their creativity, decorate their homes and organize their lives. I'm also the creator of a free course, Crush Your Week, that helps you create a weekly routine and organize your calendar in five days. I'm thrilled Michele invited me to be on her summer home tour today! I live in a small Iowa town with my husband, and you'll often find me decorating our home on the weekends. We purchased our first house a year and a half ago, and are slowly making it over, room by room. It's a blast to find ways to make this little abode our own. Come on in and I'll show you around! Let's start off in the living room, which is right inside our front door. Since we don't have much of an entryway, we use a bookshelf and bench by the door as our drop zone. I spruced up this old bookshelf recently, and love how the striped backing makes everything pop. The shelf is a great place for dropping our keys, filing our mail and stashing scarves and umbrellas. I'm still searching for the perfect idea for that wall above the bench. The thermostat throws me off! When I think of summer, sunflowers always come to mind. The yellow sunflowers are a cheery addition to all of my usual blue decor, and the fact that they are artificial is perfect for my black thumb. One of my favorite Saturday activities is thrift shopping. I enjoy hunting for unique treasures and incorporating them into our home. I scored these two woven baskets at our local thrift store the other day. I enjoy decorating with things that have meaning to us, things that tell a story. My brother built this wooden bench as a wedding gift to us, and I love having a place to put it where it gets used every day. It even has our last name and anniversary carved along the top of it. I added these blue patterned pillows to our couch this summer, along with a fun garland strung along our picture ledge. The garland has a bit of a nautical feel, which feels summery to me. The picture ledge is a DIY project, and it makes it super easy to switch out the framed art with the seasons. I'm currently displaying a collection of art I curated from all over the Internet, all of which were free downloads. How's that for affordable decor?! There's a round table to the right of the couch that I always focus on decorating with the seasons because it's in direct site from the front door. I used sunflowers and pears to create a summertime vibe. Our TV is across from the couch, and the far side of the room has a new addition: a rocking chair I scored for 50¢ at the thrift store! I will probably paint or stain it in the future, but for now it's found a great home in this corner. The corner shelf and cedar chest are perfect surfaces for creating pretty vignettes, and I often switch around the accessories to freshen things up in the room. Moving the small accessories around all the time challenges me to dream up new combinations and makes them all feel new again. I love reading magazines, especially on lazy summer days, so I keep my stack organized in a white tray so they are easy to grab when I have a little down time. That rocking chair has become my new go-to spot for magazine reading. I finished a big makeover in our kitchen this spring, and I'm so happy with how cheery the room feels! I got rid of the beige walls and added a lot of blue and green into the space. This room gets the most sunshine of any room in our home, which makes it feel so happy all of the time. I added that counter under our window, and it's become my favorite spot to enjoy breakfast, especially during the summer months when I can sit there and look over our green backyard. Have you figured out my favorite color yet? It's pretty obvious I enjoy decorating with blue. Any shade of blue, really. I love how the dusty blue walls in our kitchen contrast the bright white cabinets and appliances. I'm not much of a cook, but having a pretty kitchen certainly motivates me to spend more time in it. Now onto our dining room! This room is where we eat our meals and also where we play board games. My husband and I are huge board game lovers! My favorite part of decorating a dining room is creating pretty centerpieces, and I am loving the cheery look of this one I styled for summer. Isn't it pretty? (Those cherries are delicious, by the way.) A very new addition to this room is the huge DIY chalkboard. I'm looking forward to writing festive phrases on it as the seasons change. I'll be sharing a tutorial for it in a future blog post if you're curious. That ginormous glass vase was a steal at a thrift store, and I cut a couple shoots of tall grassy stuff from our lawn to stick in it. I'm all about using nature as decor! It's amazing how things that look like weeds outside can turn into nice looking vase fillers indoors. Please don't mind that ugly pine closet door–painting our interior doors is on my to-do list. On the opposite side of the dining room is our built-in hutch alongside a bright blue accent wall. I love styling decor, so having a hutch with five shelves to fill is so fun! I gathered up a mix of white, blue and silver decor for summer and sprinkled in some pops of pink flowers. I'm planning to paint this hutch something besides ugly pine in the near future, and looking at this picture has me itching to get started on that project. Any color suggestions? No home tour would be complete without a quick glimpse at my absolute favorite room in the whole house: my craft studio. You have to see the hideous before picture to fully appreciate how far this basement room has come. For real, that red floor was horrible! I don't redecorate this room for the seasons, but it is where I spend my time DIYing all of the decor that winds up in the other rooms of our house. The craft studio is my happy place, and I could spend hours down here listening to podcasts and creating masterpieces. What a beautiful home eh!! I love the blue walls and crisp white furniture and cabinetry throughout. So fresh looking with her touches of greenery too. I would love to have a family night with her someday and play those board games as my family are big game lovers too. What inspiring ideas for summer decorating. Thank you Emily!! Now hop on over to her blog and enjoy some more inspiration!